Quarterbacks Darriel Mack (8) and Hayden Kingston (14). Photo taken by Sarah Kelliher. 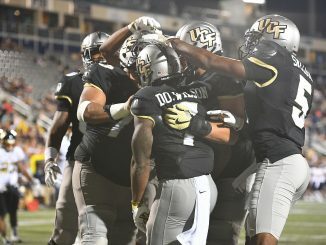 When people think of the historic run that UCF has had the last two seasons, they think of names like McKenzie Milton, Adrian Killins, Titus Davis and more recently, Darriel Mack. People think of the players with Heisman hopes, 95-yard kick returns, monster sacks and game-saving plays. There are several players however, who’s contributions to the Knights remaining perfect over the last two seasons, have gone unrecognized. They are not necessarily the ones scoring touchdowns or making big plays, but they are the ones scouting the Knights’ opponents, preparing their teammates for what they will face each week, and signaling plays on offense for every game. One of those players is quarterback Hayden Kingston. 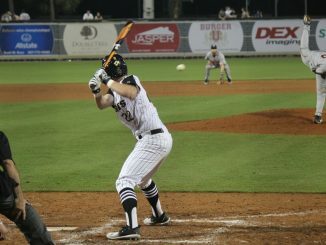 Kingston attended Viera High School, which is just about an hour away from Orlando, and spent one season at Wake Forest before transferring to UCF. He spent all of last season with the scout team and this season took on the unique role of signaling plays each game and made just one appearance on the field to close out the USF game. Most gamedays you will spot Hayden on the sideline. He’s dressed in full pads, with a green hat, green vest, and a headset on. If you can find Coach Heupel on the sideline, you can probably find Kingston not too far from him. 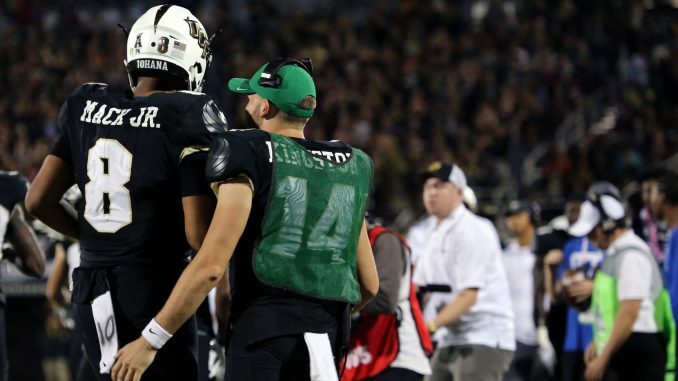 He’s been the main line of communication on offense for McKenzie Milton and Darriel Mack this season and is deeply respected by his teammates inside the program. 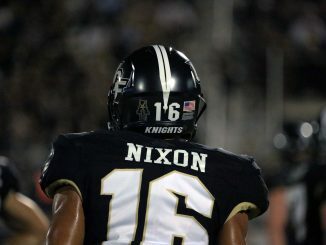 No one can describe just how special of a teammate Kingston is more than his number one receiver in high school, who just happens to be a Knight and his roommate now, Tre Nixon. Just last week, someone tweeted about how strong UCF’s quarterback room was and how it would be for seasons to come, but they neglected to mention Kingston. Teammate Darriel Mack was quick to comment on the tweet, making sure that his teammate was recognized for his contributions. Although Kingston has not and may not see much action on the field in his UCF career, he’s still an integral part of how the Knight’s operate on a daily basis. He’s respected by his teammates and his coaching staff and has continued to build relationships that make him a better person and a teammate.